Portable shelters, like the name suggests, are extremely handy and transportable when it comes to moving or relocating storage from one place to another. When you are about to purchase portable storage shelters, you need to understand how it all goes. The first thing you must to do is to know what storage shelter you need and how they work as a temporary storage solution. A portable shelter provides the ideal storage unit for all materials and can be stored safely in the unit without the need of constant loading and unloading. These are usually used by homeowners who want to store or move their supplies all at once with minimum fuss. Portable shelters are an affordable and easy way to provide additional storage space on your property. There are a lot of various things you can store in a portable storage shelter and can even separate them as a workshop or even a detached garage. With a wide range of sizes and colors to choose from, you can select the one that best suits your needs. If you’re a homeowner, then you apparently have a yard, which means that you have a lawnmower and other gardening equipment to use. The yard and gardening tools can take up a considerable amount of space. You can store them in a convenient portable garage so that it won’t get scattered around the yard. The items in a portable shelter can be shielded from the climate and can be effectively available when you need it. Most of us have a lot of decorations when it comes celebrating special occasions. However, once the event is over, we tend to store them away in places that we can’t remember and places that occupy a lot of space. You can instantly store your decorations in a portable garage shelter, so it will be shielded from the climate and prepared for the next event to come. Besides for vehicle protection, you can even use your portable shelter as a refuge for your outdoor gatherings. Place a number of tables and chairs inside to provide a safe location for your visitors to eat and relax. And after the event, you can easily store away those items in a portable shelter inside without the need to relocate them. It can also be used as a place for a canopy shelter to use as a shade from an unexpected rain or extreme heat. You might be living in a place where there is constant heavy snow. As a homeowner, you may likely have a snow blower, shovel or a carpet that you use to treat your garage and protect it from the snow. If by any chance that you can’t fit that heavy equipment in your garage, then you can store them in a portable garage shelter near your home, which makes for easy access and storage solution. When you have a home that has a pool, you’ll likely have tools and chemicals that you use to keep it regularly clean. You may also have several pool toys for your family to use. You don’t need to store it inside your home or in a small shed that you can barely organize. You can manage your pool and at the same time, store those unnecessary items in a portable shelter. Most individuals tend to have a leisure activity that can take up a significant amount of space and isn’t enough to simply do it inside the house or a garage. Having a portable shelter can give you the additional space you need to do those activities and at the same time, to store hardware and other supplies while it is not being used. Whether you need daily or seasonal storage need, Rhino Shelter is your solution. Made with a galvanized steel frame and polyethylene cover, Rhino Shelter will protect your equipment from the extreme heat, rain, wind, and snow, and keep it from rusting. Our polyethylene covers are UV and water resistant, so all your valued items will not be damaged. You can use our shelters to protect cars, trucks, motorcycles, tools and equipment, and much more. We have affordable prices on portable shelters and garages so you can’t go wrong with choosing Rhino Shelter for your next purchase. One of the main questions that we get with our portable storage shelters is the fact that it should be easily portable, depending upon the quality and design of the shelter, it should be large enough to store all your storage materials but small enough to be transportable. If you are looking to buy portable storage shelters, then give us a call, and we’ll help you choose the best one you need. What Makes a Portable Garage Shelter Durable? We all know how important shelter is for any vehicle, be it an ordinary car, truck or motorcycle, just to protect it from harmful UV-rays and rain, as well as the increasing build-up of moist on the vehicles. A garage is necessary to shelter your car from all kinds of weather and temperature. It can also increase the chances of the longevity of your vehicle's paint and protect it from any objects. However, not all of us have the leisure of getting a ready-to-build garage to store our car and therefore, a portable garage can serve that purpose. Basically, portable garages are designed to fit your shelter needs. It all depends on the number and size of the car, from a zipper to a roll up type of door. Portable garages are also easy to set up as well as disassemble and can offer the same protection as a regular garage does. Portable garages are now becoming more and more popular with a lot of people. They are just not easy to assemble but is often less expensive than building a traditional garage. People want the flexibility and durability that comes with every portable garage. So, what makes a portable garage shelter durable? Portable garage shelters are made from quality heavy-duty polyethylene. This type of material is very advantageous due to their durability, portability, and ease of construction by consumers who do not have any building experience. The most significant benefit of the fabric is that they cost less than what a conventional storage shelter would cost. While portable shelters are affordable, they can provide excellent protection for up to 20 years before any cover replacement. To make our fabric more flexible, our material is constructed with 3 different layers. The sun’s UV rays are entirely blocked by our black inner scrim layer which clearly keeps the shelter fabric cooler and safer from the intense heat of the sun. Most importantly, the layer helps retain the fabric’s interior materials from tearing down for some time. Our fabric sheds are also intended to provide consumers with the ideal outdoor storage solution for all types of vehicles, equipment, and even boats, which is 100% waterproof, CPIA-84 certified (Fire Retardant), and is certain to last for years. All fabric is tested for quality assurance before shipping from any warehouse. As far shelter is concerned, the cover is the most important. All covers, once attached to the frame, continue to provide an excellent UV blocking and waterproof surface for any weather condition. With the addition of an existing galvanized or powder-coated steel frame, the new cover can still provide good air circulation, preventing damaging moisture from building up on your vehicles and other equipment. If water can leak through a shelter, the structure will not entirely protect your car and can damage it eventually, which is why a portable garage is an excellent choice for a safe storage solution. UV rays can also damage the exterior of any vehicle left outdoors under the heat. The paint color will likely fade and can result in cracks of any exterior or interior plastic parts. We have covers for just about every size shelter you need. So, you can continue getting all the use out of your shelter and giving your investments the full protection needed. Our selection includes round and peak shapes for any small and large portable shelters. The steel plays an import role in ensuring a longer lifespan for any portable shelter. Our portable garage shelters are built to withstand strong winds and heavy snowfall. Our galvanized steel is hot-dipped, so the pipes will not rust externally or internally during some time. There are a lot of portable shelters that have withstood the harsh winters each year making its quality undeniable. A safe shelter is definitely one that is damage-resistant and is low maintenance. Some of our shelters, like the Party Tents and Party Canopies, have powder coated steel which is designed for a durable and safer outdoor use year-round. Our shelters are made of quality steel and are very reasonable when compared to hiring someone to build a traditional garage for you. These portable shelters are long-lasting and easy to put together. You can also find different shapes and sizes of portable shelter that can stand firm against all kinds of weather conditions. Our shelters are designed to withstand all kinds of weather conditions. Most of our portable garages, especially small shelters, will set up very quickly. Each one of them comes with clear directions on how to set it up in just minutes. Generally, it’s just a matter of setting up some poles with hook anchors, bracing them for security, and placing the cover over the poles. However, large portable shelters can get quite heavy and complicated. It would be advisable to get a someone to help you with the setup, but guarantee that these portable shelters have great muscle power and strength. All of the seams are heat welded with the use of the most advanced technology. This type of system provides a 2" wide seam that is 100% waterproof and super durable. Our storage shelters are intended to provide consumers with the ideal outdoor storage solution for vehicles, boats, and other equipment. All our portable shelters come complete with a set of easy to roll-up door for a quick and easy access. Roll up doors come standard with two car garage, and heavy truck garage. This innovative design allows the door to stay open without the trouble of using tie straps. The door is simply rolled up onto the support rod of the portable shelter for the entrance/exit of the portable shelter and close it with ease. Along with our innovative door design is our unique cover fit that has become an ideal storage solution in the market. This setup allows for a very attractive finish. The tight cover fit provides a longer life due to minimal wind flap occurrence. Our portable shelters have more sizes than any other manufacturer. Use our portable shelter with and easy roll-up door to access your shelter and quickly open doors through a simple pulley system. Screen Vents are essential if you’re going to be working inside these shelters or if you are keeping live animals or any livestock. These kits can be installed in the back and front panels and provide an excellent steady airflow to reduce the humidity levels. These vents are designed with built-in screens, which lets the air inside and keeps bugs and other debris out of the way. The vents can also maintain the interior of your shelter or garage dry and cool. A car shouldn’t have mold and mildew building up on it. Screen vents can prevent any formation of mold, mildew, and dry rot underneath any kind of vehicle and protect it from having any further damage. We are proud to be a trusted portable shelter company to offer built-in screen vents for breathing and excellent air circulation. When you want to protect something valuable, screen vent is a must-have feature, as it helps with regulating the inside temperature of the shelter. Give your portable garage shelter all of the great features you want with our great product options and accessories. We carry large inventory stock of hardware and other accessories to secure all of your portable garage shelters and structures. You can choose from a number of hook anchor sets, ventilation kits, roll-up doors for safe and secure tie down. In every garage setup, there are four pins which keep the end arches from spreading apart and from zippers to break. When the wind hits the back and front of a shelter, the arches move back and forth and will eventually break the zippers. The pins will definitely help maintain the shape of the building and, more importantly, keep the arches from spreading wider than they normally would. This will eventually ensure a longer lifespan of the shelter. By the time you find yourself reading this, we are sure that part of your thinking wants to consider the endless benefits of these portable garages. We know, too, that you are intrigued by the several uses of portable garage. This is why we are letting you know about the 5 awesome uses for your portable garage shelter. One of the best uses for portable garage shelter is housing your vehicles. When you have a car, you are obliged to provide it with its own garage. This seems to be the first step you make to show that you take care of your automobile. Car garages are essential for so many reasons. With them, you are assured that your vehicle is protected from any weather condition, rain or shine. Also, having your own garage means lesser chances of acquiring damages as opposed to when your car gets parked on the street. A lot more reasons follow as garages serve as protection for anything that might fall, preserving your paint conditions and the list goes on. All these many reasons prove why portable shelters being used as vehicle garages is the number one use of these versatile portable shelters. There is a variety of portable garage shelter sizes available so definitely no worries whether what you have to house is a motorcycle or truck. Portable garage shelters can be the best party tents you will ever have. With portable garage shelters, holding outdoor events has never been easier. Birthday party, wedding reception, graduation celebration, or just another outdoor activity, name it, portable garage shelters can make sure you and your guests are covered. Host a variety of outdoor events and gatherings while being protected from all elements without sacrificing elegance. Our customized versatile, durable and cost-worthy portable shelters do just that. Our party tents have walls with polyethylene windows and silk screened panels. All these walls and doors are detachable. Put them in or put them out; whatever your event calls for, the choice is yours. Outdoor pets aren’t supposed to stay inside the house. This does not mean however that you leave your animals astray. This way you are clearly exposing them to heavy rain, heat, wind, snow and all other potentially damaging elements. All these factors can lead to multiple problems like frostbite, heat stroke and many other diseases. Good thing portable garages for sheltering livestock exists. Now what you have to do is find the most suitable and best for your animals. With so many designs to choose from, you are sure to get your money’s worth as you protect your livestock the best way possible. Our livestock shelters are intricately and personally designed for your animals’ needs. They are made of galvanized steel frames that ensure the shelter’s durability and resistance to rust. There is no better way to provide your green collection with the best elements they need than giving them the proper housing they deserve for better growth. One of the awesome uses for portable garage is being a portable greenhouse. Turn your collection of plants into a beautifully-housed garden. This time you do not have to worry about your plants getting damaged in any way. Be thrilled on how different portable garage shelters can be effectively designed as a greenhouse to provide protection to your cultivation. The greenhouse shelters we offer to you are made of superior-quality translucent fabric designed to provide the appropriate amount of light. As far as gardening is concerned, portable garage shelters can also be used for sheltering your gardening and barn materials. Different shelters have different garden storage shed uses. Portable garage shelters come in all shapes and sizes as well as functions. This is why it is made possible to have a truss portable garage building. Spaciousness and durability are the main features of these truss buildings making them fit for commercial use as well as a workshop area. As far as we are concerned, the truss buildings we have guarantee structural integrity. They are made with galvanized and steel tubing to make up a robust framework providing high-quality protection. That pretty much sums up top 5 uses of portable garage. There is totally a whole lot more if you explore. Do yourself a favor by getting yourself something that is practical and beneficial to you and your daily living. Over the years, portable garage shelters have been gaining popularity due to providing innovative storage solutions. And these solutions can address to 99 percent of your storage problems. That sounds too much of a purpose to a single storage canopy. However, there is no need to doubt because just so you know, there is more than one type of portable garage and definitely more than one use for these highly versatile shelters. Portable garage shelters might just be your number one choice when you need a very versatile storage of any sort. And a total complete bonus: assemble them any time and place them anywhere you want in your yard. By the time you find yourself reading this, we are sure that part of your thinking wants to consider the endless benefits of these portable garages. We know, too, that you are intrigued by the several uses of a portable garage. This is why we are letting you know about the 5 awesome uses for your portable garage shelter. There is a variety of portable garage shelter sizes available so definitely, no worries whether what you have to house is a motorcycle or truck. Host a variety of outdoor events and gatherings while being protected from all elements without sacrificing elegance. Our customized versatile, durable and cost-worthy portable shelters do just that. Our party tents have walls with polyethylene windows and silkscreened panels. All these walls and doors are detachable. Put them in or put them out; whatever your event calls for, the choice is yours. There is no better way to provide your green collection with the best elements they need than giving them the proper housing they deserve for better growth. 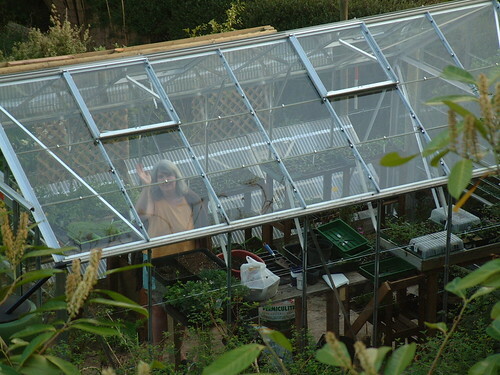 One of the awesome uses for a portable garage is being a portable greenhouse. 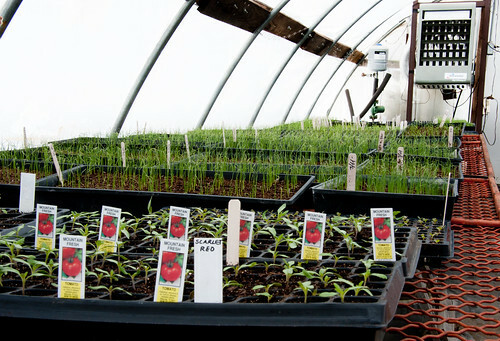 Turn your collection of plants into a beautifully-housed garden. This time you do not have to worry about your plants getting damaged in any way. As far as we are concerned, the truss buildings we have guarantee structural integrity. They are made with galvanized and steel tubings to make up a robust framework providing high-quality protection. That pretty much sums up top 5 uses of a portable garage. There is totally a whole lot more if you explore. Do yourself a favor by getting yourself something that is practical and beneficial to you and your daily living.